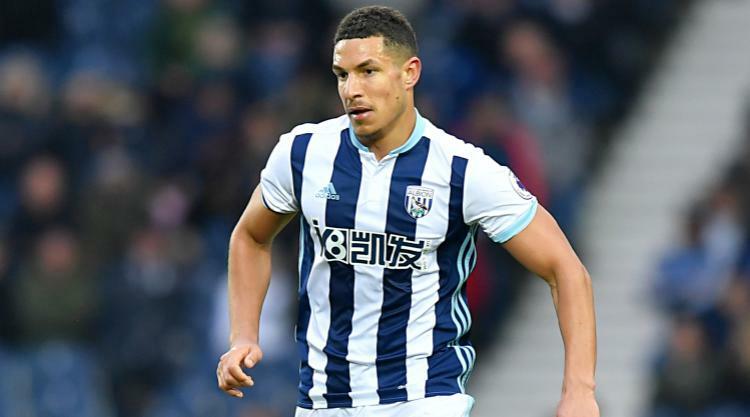 Craig Dawson's double piled more pressure on Arsenal boss Arsene Wenger as the Gunners suffered a nightmare 3-1 defeat at West Brom. The defender and substitute Hal Robson-Kanu, who scored just 75 seconds after coming on, inflicted a sixth loss on the beleaguered Wenger in his last nine games. Alexis Sanchez's 18th Premier League goal of the season had cancelled out Dawson's opener but the Gunners remain five points adrift of the top four with their hopes of Champions League qualification in the balance. They also lost Petr Cech to injury and replacement David Ospina was at fault for Robson-Kanu's goal after colliding with Hector Bellerin. Off the pitch, Arsenal fans' civil war continued as two planes with the opposing banners 'In Arsene We Trust #respectaw' and 'No Contract #wengerout' flew over The Hawthorns. The manager, out of contract in the summer, remains a divisive figure and came under fire from the travelling fans who called for his exit, unfurled several 'Wenger Out' banners and criticised his late substitution of Sanchez. For the Baggies, they equalled last season's points tally of 43, and recovered from successive defeats to keep their Europa League hopes alive. And they deserved the victory from the moment when Dawson headed them in front after 12 minutes. Albion had scored 16 goals from set-pieces this season, more than any team in the Premier League, and made it 17 when Dawson rose above Laurent Koscielny and glanced in Nacer Chadli's corner. It came after Cech had beaten away James McClean's fierce drive but the goalkeeper was left exposed as the Gunners failed to deal with Chadli's delivery. But Arsenal hit back just 165 seconds later when Sanchez was left completely unmarked - thanks to Chadli failing to check his run - to collect Granit Xhaka's floated ball and fire in off the crossbar from eight yards. It completed a 19-pass move but the Gunners could not maintain their momentum as the Baggies shut up shop again. With Jonny Evans outstanding at the back, the hosts held firm and Cech was the busier of the two goalkeepers before his premature exit. He turned Darren Fletcher's half-volley wide on 35 minutes after the Gunners' defence had gone to sleep in his last action of the day. Minutes later the 34-year-old pulled up after playing the ball out of defence and was replaced by Ospina. The delay killed the game - despite McClean receiving a caution for a rash tackle on Sanchez - and it drifted to the break with little action. Despite all of Arsenal's possession, the hosts looked the most dangerous against the Gunners' fragile backline and Salomon Rondon headed wide six minutes after the break. And the Baggies did regain the lead after 55 minutes through Robson-Kanu's second touch after he replaced Rondon, now without a goal since December 14. Again, the Gunners defence were at fault when Ospina came to collect a cross, clattered into Bellerin and the ball fell to Robson-Kanu to prod in. Arsenal complained McClean, who was behind Bellerin and then stepped over the ball as it rolled in, was offside but the goal stood. This time, the Gunners failed to hit back instantly but the previously anonymous Danny Welbeck did smack the bar after 65 minutes as Albion were momentarily breached. Chadli's drive was then cleared off the line by Shkodran Mustafi after Robson-Kanu caused more problems, before the Baggies wrapped up the victory with 15 minutes left. Another corner was Arsenal's undoing as they allowed Dawson to power in unmarked from six yards - his third goal in four games. There was no coming back for the Gunners and Wenger was subjected to chants of 'you don't know what you're doing' when Sanchez was replaced by Alex Iwobi - with several 'Wenger Out' banners visible at the end.